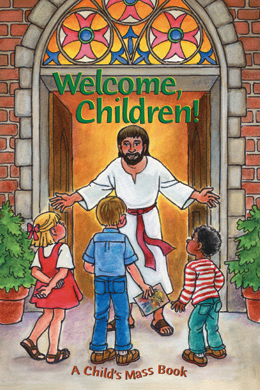 While some of us are still planning, organizing, and ordering books, some Catholic Homeschoolers have started school for the 2009-2010 school year! (Yes, yes, a bit early, but she's got a GREAT reason: a baby due any time now! So she wanted to get started before the wonderful arrival). 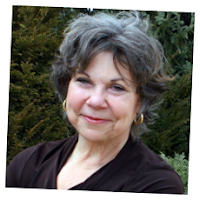 Here, again, is one of our fabulous Guest Writers on CBHM, Liz. Guest Blogging Mama: Liz is a wife to a wonderful husband and mom to 4 (soon to be 5) beautiful children: Marco (6), Isabella (5), Anthony (3), and baby Christian. They find daily inspiration in the Holy Family and look to Jesus, Mary and Joseph for guidance. Our school room is done. My plans for the first two weeks of school are neatly written in my planner. Copies of necessary paperwork for the kids has been made and filed away. Our schedule has been posted on our bulletin board. School books are lined up ready to be used. It seems like everything is in place for a new school year! The kids are excited and counting down on our calendar. For now, my job lies in preparing a special little something for the kids. As I posted earlier, I will be making a schultute for each of the kids. School supplies. A pencil case filled with simple supplies. A t-shirt with our school logo on it. I'll be working on the actual cones starting tonight and through the weekend. It was hard coming up with a "theme" for each schultute. But I finally came up with a shark theme for Marco (who is insanely into sharks right now), flowers and tiaras for Isabella, and an outer space theme for Anthony. I'm excited about getting them done! I'm taking pictures as things get done, so get ready for a picture filled post on Sunday night!! We had our official first day of school on Monday! It was a complete success and the kids had a blast getting to "meet" their new books, open their Schultute's, take pictures, and yes...even get started on work! All around, I saw God's blessings and it turned out to be a perfect day! I was hoping to capture the first lesson for each child, but only had the camera on hand for one shot. I did capture so many other shots, however, and I hope you like them!! The kids' Schultute's the night before our first day. I can't say how excited I was to have the kids see them, but what surprised me was how excited my dearest husband was at the thought of starting this new tradition. He LOVED them! After having a special pancake breakfast the kids were allowed to go into the school room. There they found crowns with their names on them and their new grade levels on the back. The giddiness they exhibited was adorable! 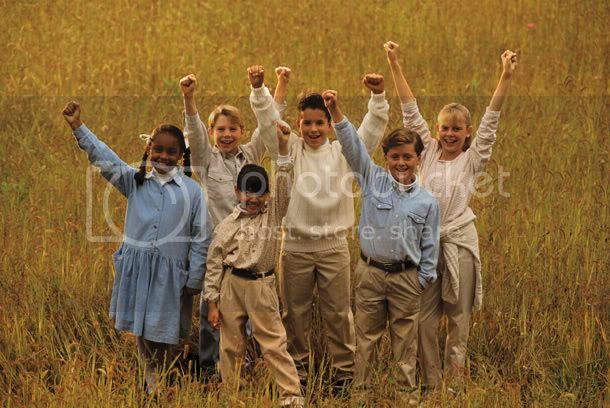 On the side of their names was a little picture clue as to what the theme for their Schultute was going to be. It was fun to hear them brainstorm all about their big surprise! Even Christian got in on the excitement with his own crown. On the count of 3, everyone say "First Day of School Rocks!!!" Showing off their new grade levels on their crowns. I made the kids stand in line while I placed their Schultutes on the school table. We then made a march to the school room once more. It was pure excitement when they saw their cones on the table!! They immediately wanted to open them to see what was inside, but they knew they had to wait. And although Christian might look a little bummed that he doesn't have his own cone, he quickly felt better after he got a little bag full of treats just for him. My boys! That cone is almost as big as Anthony!! Getting to open the cones was the best part of the day for the kids. I love the expression on Marco's face when he sees what's inside the Schultute! I'm glad I caught it on camera!! Surprises are the best!! The kids finished opening their Schultutes and I let them spent part of the morning enjoying their treats. After all was put away, we hung them up on the wall where they nicely form part of the decor now. We found a nice place on the wall to decorate with the school cones. After all the excitement, it was time to hit the books and start a new year! It was a great day!!! For more information on Schultuete, visit this site. Also, if you want to see what Liz did to prepare for this wonderful first day, please visit her home school's blog at Holy Family Classical Academy. She's got some fantastic ideas and suggestions on how to start the school year organized! I hope you've enjoyed the Ruiz family's first day of school as much as I have! God Bless you Liz and thank you for sharing this exciting day with us! Know that our family and the Mama readers of this blog will place your beautiful family in prayer. Also, for the safe the arrival of your new addition! If there is a blog that you follow, and you'd like us to feature, please e-mail me a link: raisinglittlesaints at gmail dot com or leave a comment below. Come again next week for another neat Catholic Mama to visit. 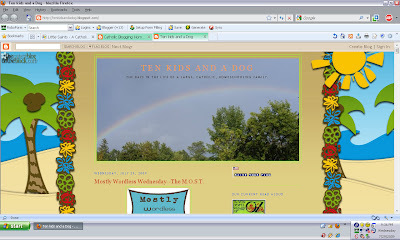 Thank you to all the "Mamas" who have sent me links to wonderful blogs. Please, be patient with me and I will post them as soon as possible...just keep them coming! Thank you and God bless you! 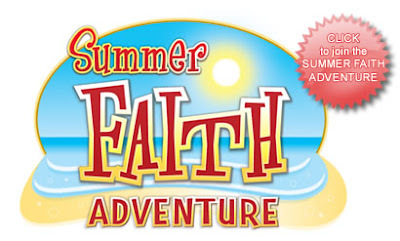 Register now for the "at-home," FREE, week-long Catholic vacation Bible school: Holy Heroes Summer Faith Adventure! 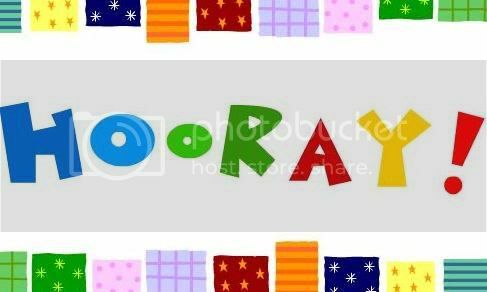 Choose your week to receive 5 daily emails full of short videos, activities, prayers, songs, all-new coloring pages, quizzes, and puzzles, everything you need to have a summer camp in your own home or backyard. New this year: The Story of the "Sel-fish" and the "Generous Fish." (Mom and Dad: you'll love the effect on your children!) Don't forget: register now. Pre-made sugar cookie dough: This is only if you do not want to make the dough from scratch for the first two days of snacks. If you choose not to make the dough yourself but instead buy pre-made dough, you will not need any powdered sugar, almond extract, cream of tartar, baking soda, or sugar. I just signed us up for the first week of August! There are only two more weeks of this left so don't wait! Let me know what you thought of it, if you decide to do it! I can't wait because my kids did a VBS at our Parish (I volunteered and they got to go for free, which I am very thankful for) but the program was VERY protestant...no saints, no Mary, no Sacred Heart of Jesus...I've seen it advertised at Protestant churches around here, unfortunate that they choose this program over a Catholic one. Anyway, this is my opportunity to do it the "right way" or, I should say, "what I was expecting from the one at our parish." Enjoy! I found this article on Catholic Exchange and found it very insightful. Something we struggle with constantly with our four blessings, particularly number two and three who are four and three years old right now...this mother of seven shares her ideas on Mass Control. As the parents of seven children, my husband and I have worked hard over the years at keeping our little ones under control during Sunday Mass. We have experimented with various ideas as well as asking our friends and family for advice. Everyone has their own thoughts about how to handle children at Mass. Some families choose to leave little ones at home, while the adults attend separately. This works well for the families I know, as it gives Mom and Dad the opportunity to spend some quiet time with Our Lord and allows them to get the most out of the Mass. Once their young children are mature enough to behave in church without a lot of intervention, they bring them along. We have a different philosophy at our house. We prefer to attend Mass as a family. I want my children to feel at home going to church from the earliest age. It’s been a long time since I could really concentrate on the beauty of the Mass, but I am confident the Lord understands my dilemma. For those of you who share this philosophy, I present the following top-ten list on keeping the peace during Mass. "THE ALTAR GANG!® audio series takes a fresh look at the Mass. Each Sunday, AJ the Aspergillum and Skiff the Incense Boat, along with rest of the Gang, help the priest prepare for Mass and learn about the Readings and Gospel through stories and silly adventures. The rest of the Gang includes Pete the Chalice, Mary the Ciborium, Pablo the Paschal Candle, Maggie the Bells, Thomas the Thurible, Big John the Baptismal Font, Mo the Ambo, James and John the Altar Candles, Cecilia the Music Stand, Guido the Organ and Mimi the Altar Cloth. Fun, exciting, educational, THE ALTAR GANG!® will bring the Mass alive for your family and teach them about the Liturgy and the Catholic Faith." 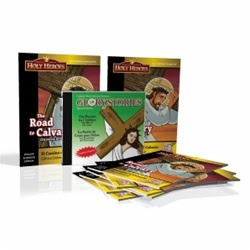 They also have Stations of the Cross Packs with audio CDs and matching coloring books! You can hear samples of all of their Holy Heroes series! Too cute! My eldest son's first reaction was, "are they going to make a DVD out of it, too cool Mom!" Honestly, I like the idea that it is ONLY audio...like the good ol' days! :) Hope you like them as much as I did...can't wait to actually try them this school year! Enjoy! Today we are thankful for two whole weeks since our blog was launched to the world! Hip, hip, hooray!!! Thank you for visiting us today. It is truly an honor to have so many of you here in such a short time (over 500 visits, thus far)! Please invite friends to visit us, click to follow us, link us to your blog, leave us a comment, don't be shy...we'd love to hear from you, our readers/followers. Also, please pray for my tech guy (DH), our ever growing family, and I so that we can continue this little apostolate, in little ways but with BIG love! "The good God does not need years to accomplish His work of love in a soul; one ray from His Heart can, in an instant, make His flower bloom for eternity..."
Barbara is a seasoned homeschooling mommy of 12 (yes, twelve blessings), now a grandmother of ten, and a happily married wife. Barbara is a "revert", she was baptized Catholic then Evangelical for many years and has come back to our beautiful Faith! Barbara and her family are a " Family-First kind of family." Remember when you fell in love with the man you'd one day wed? You couldn't spend enough time with him. Memorizing every angle of his face, discovering every nuance of his personality - you thought you'd never grow tired of it. And when your first child was born, didn't it feel as though you could never grow tired of gazing on that precious baby - even when sound asleep? Ah, but we are human and the daily grind of living 24/7 with those we love can become just that - a grind. How quickly we forget the miraculous power of love. I'm asking you to remember for a reason. I'm asking you to remember because when it comes to the recipe for a perfect teacher the most important ingredient is love. And no preschool teacher - no matter how much she cares in the classroom - will ever love your child as dearly and selflessly as you. But I'm asking you to remember for another reason. As you begin to prepare yourself to teach your child, the first step will be to open your heart, to tap into that great well of love you've experienced before - before it got a little murky from all the peanut butter smears and wayward permanent marker. Before the fatigue and frustration found on the flip side of motherhood. And finally, I'm asking because as you continue on the journey to becoming the best possible teacher for your child, I want you to find inspiration and confidence in the recognition of where all of us teacher/mommies begin. We love our children. We want God's best for them. And clearly God's best for your child involves your maximum involvement through these early years. Remember: God doesn't call the equipped; he equips the called. Before your baby was born, you were probably not quite ready for motherhood. Good thing you had nine months or so to devote yourself to immersing yourself in the things you'd need to know to make it through childbirth, nursing and beyond - not to mention gathering all the stuff you'd need to prepare the best environment for baby. Learning to be a mommy never stops - take it from someone who after 36 years is still learning and growing. If you're at a loss for what to do with your preschooler, is that really so strange? And isn't the fact that you picked up this book assurance that God will lead you in the right direction? That he hasn't just called you to teach your child, but that he will equip you? Yes, some of us tremble before the things God calls us to do. But God did not give us a spirit of fear, only the assurance that love is greater than our insecurities - that in Him we find our strength. You don't need a rigid method or a handbook with a hundred lessons. What you need are the keys to unlock the tremendous learning potential of your child - as well as your own potential to teach. Once you begin to use them, you will see your child - as well as your relationship - transformed. Then you will both discover the joy God intended in these early years - a joy that will spill over into a lifelong love of learning for your child. But it starts with the simplest, most basic foundation. Your willingness to invest in your child - to stretch and grow in whatever ways you must - because you want the best for both of you. The bottom line is love. You can also get an autographed copy of her book Mommy, Teach Me! "Mommy, Teach Me! gives parents the tools to help them bring out the best in their child and the best in themselves. This book will help you discover your God-given abilities so that you can help your child better discover hers or his." 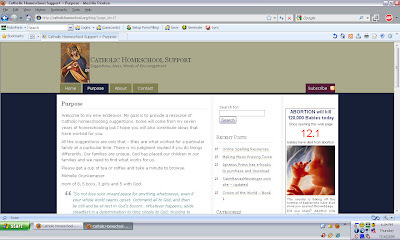 Hope you have enjoyed Barbara's four part series on "Why Homeschool Preschool?" as much as I have!